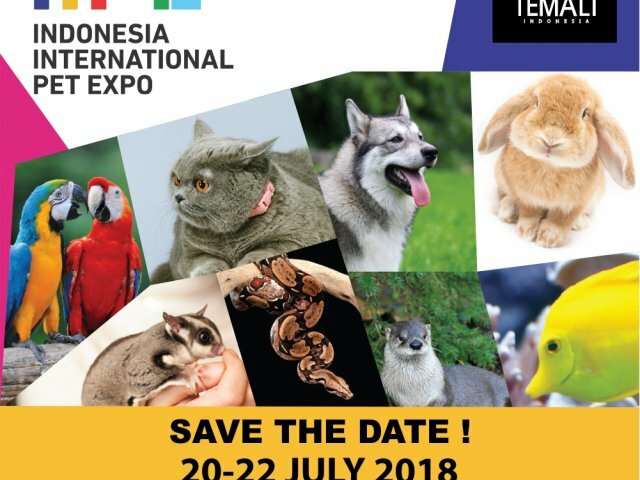 Indonesia International Pet Expo (IIPE) is back on calendar with its 2018 edition to delight pet lovers and enthusiast on 20-22 July 2018 at Indonesia Convention Exhibition (ICE)! Recognize as the leading platform for products and services in pet care, the expo is a veritable showcase of the complete value chain in pet care from pet food and pet accessory manufacturers to pet sitters and from veterinary specialist to retail stores. What will you find on IIPE 2018? This year the dog show will be held by PERKIN with INDONESIA WINNER SHOW 2018 as the theme, it is all breed championship dog show. With overseas judges and participants, this is would be the greatest International dog show in 2018. The show is hosted by The International Cat Association (TICA), which hosts hundreds of similar events around the world each year. Top cats are judged against the ideal characteristics of their breed, accumulating points throughout the year. Only cat and dog? Big NO NO NO. There are many pets that you will see on this expo, such as reptiles, rabbit, parrot, fox, fish, and sugar glider. Enjoy the show. Pet Talk Show is directed to the owners who are devoted to their pets and animals. Our hosts are animal industry professionals covering various specialty topics and giving free pet behavior and medical advice. We give listeners the opportunity to speak with animal experts and offer new animal health information, latest trends in pet products, tips that pet owners need to know and much more valuable, informative and entertaining information.